Posted 6 October 2017 under Ask Us. 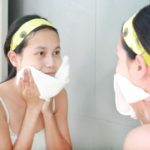 It is common to have breakouts during the teen years. There are many over-the-counter medicines (no prescription needed) that fight acne. Products come in soaps, cleansing pads, creams, gels, or lotions. Each product works slightly differently and it usually takes up to 2-3 months of using a product to see an improvement. If you have used over-the counter medicine for this long and your skin hasn’t gotten better, tell your health care provider and ask whether you need prescription medicine for your acne.